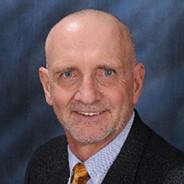 Steven J. Fleck, PhD is the Executive Director of the Andrews Research and Education Foundation in Gulf Breeze, Florida. Dr. Fleck's research interests are physiological adaptations to resistance training and the application of research to optimize resistance training program design. His research interests are not limited to the training of athletes, but also include training of the general population from youth to seniors and individuals with various diseases, such as cancer and cystic fibrosis. He has designed programs for celebrities interested in general health and fitness, as well as Olympic athletes in a wide variety of sports. He has authored numerous peer-reviewed research articles and numerous lay articles in the area of resistance training. Dr. Fleck has also authored books concerning resistance training and exercise physiology including: Designing Resistance Training Programs, Strength Training for Young Athletes, Optimizing Strength Training: Designing Nonlinear Periodization Workouts and Exercise Physiology: Integrating Theory and Application. All of these books have been translated into several languages. He is a Fellow of both the National Strength and Conditioning Association and the American College of Sports Medicine. He has been honored by receiving both the National Strength and Conditioning Association's Sports Scientist of the Year Award and the Lifetime Achievement Award.